I received good number of comments and emails in response to series "Best Sectors & Stocks To Buy For 2011". Here is the first sector and stocks from it we should be buying in 2011. Listed top stocks in this series have a basic objective to preserve the investment and achieve good capital appreciation. Investors may build their investment portfolio buying stocks listed in series ""Best Sectors & Stocks To Buy For 2011". First sector in this series I would like to highlight today is Automobile sector in India. Indian automobile sector is experiencing immense growth for past 15 years or so now. It is one of the essential core industry of economy. Lots of auto companies are launching new car/vehicle models every month looking at country's ever growing middle class which is one of the largest in world. There is great demand for small and mid size cars in India by consumers. Along with this demand, auto companies are even exporting cars produced in India to abroad, thus making India a car manufacturing hub. Indian automobile industry is expected to grow immensely in next 5 - 10 years. Indian economy is constantly growing at above 8.5% GDP and it is expected to do even better in times to come. This means growth and rising incomes for middle class and expansion of middle class itself which would translate in more and more buying power. This would only boost the demand for four wheelers and two wheelers so automobile sector looks one of the very promising sector to perform better and better in coming years. The first stock to buy that comes to my mind from automobile sector is Maruti. 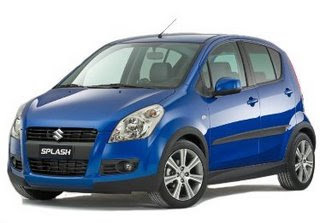 Maruti is continuously launching new models to keep the market share intact and grow further in value segment. Slowly, Maruti has started focusing on luxury cars segment too which is a high margin segment. Another stock looks good to me is Escorts. How is it related to automobile? It is one of the largest auto component maker in India. The growth of automobile sector would only add to demand for company's products. One of the biggest indirect beneficiaries of growing small car markets in India would be ... Exide industries. More than 60% small car batteries in India are made by Exide industries. So growing automobile sector would help Exide grow further. Addition to this could be electric scooters and cars in future. I would be posting stock analysis of each of these companies in detail very soon. Keep following Indian Stocks News for updates on Best sectors and stocks to buy in 2011.